Dr. Joel Schlessinger shares the common causes of melanoma & why this deadly disease is increasing in prevalence. Melanoma is the most aggressive and most deadly type of skin cancer. Not only is melanoma extremely dangerous, but it is also increasing in prevalence across the United States. According to the Melanoma Research Foundation, there were approximately 63,000 melanoma diagnoses made in 2009 with approximately 8650 deaths. The projected numbers for 2012 are even higher with 76,000 diagnoses and 9,000 deaths. Why is melanoma increasing in prevalence? Another one of the main causes of melanoma is the increase in the use of tanning beds. “Tanning beds weren’t around 30 years ago and they are single-handledly the most likely culprit for the stunning increase in skin cancer and deadly melanoma,” said Dr. Joel Schlessinger. The American Cancer Society estimates that 1 in 50 Americans will develop melanoma sometime throughout his or her life. While there are many causes of melanoma, Dr. Joel Schlessinger has tips on how to avoid this potential deadly disease. If you have a mole or growth that exhibits skin cancer warning signs, contact your dermatologist immediately. Are Botox injections really poison? Learn the truth about Botox treatments here. Botox injections are used to stop muscle spasms, migraines and the progression of wrinkles. Dr. Joel Schlessinger uses Botox treatments in many of his patients who are concerned about fine lines and wrinkles. Using Botox for wrinkles can make a major improvement in the appearance of mature skin. But many people have concerns about using Botox injections – and many people want to know, is Botox a poison? 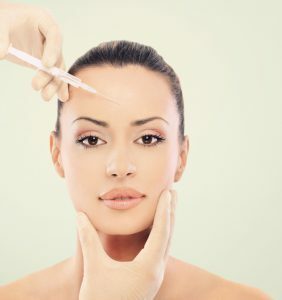 Botox for wrinkles works by weakening the muscles that contract and cause lines. Without these muscles contracting, fine lines and wrinkles will not appear in the skin. You can usually see the result of Botox treatments in 2 to 4 days and results tend to last 4 to 6 months. The amount of Botox for wrinkles is small and diluted so it only affects select areas of the body. “Many would consider Botox in the poison range only in huge doses that wouldn’t ever be injected for minor procedures like wrinkle treatments,” said Dr. Joel Schlessinger. So, are Botox treatments poisonous? The doctor says technically yes, but it isn’t something you should worry about. Do you get Botox treatments? 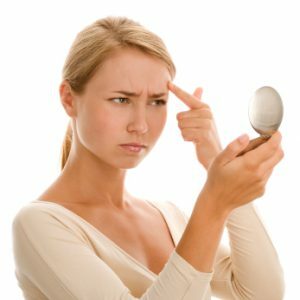 How do you get acne and how do you get rid of acne? Dr. Joel Schlessinger sheds light on the issue. Acne is a common skin ailment that affects 40 to 50 million Americans. Almost 85 percent of people have had acne at some point in their lives – whether it is on their face, chest, back or all three. But, how do you get acne? And how do you get rid of acne? Acne is characterized by pimples, cysts and clogged pores that can often be unsightly and painful. More than 40 percent of people in their mid-teens have acne that will one day require acne scar treatment performed by a dermatologist. Dr. Joel Schlessinger deals with a large number of acne patients on a daily basis. Many of these patients come to see him about acne breakouts or acne scar treatment regimens. While a large number of people receive treatment for their acne, an even larger number of people are trying to take care of their acne without the help of a dermatologist. Many of these people are also under false pretenses about how acne is caused. There are numerous myths about how one can get acne from chocolate to greasy foods. But, really – how do you get acne? Dr. Schlessinger is frequently asked how do you get rid of acne with an over-the-counter medication. “A good cleansing system is a great idea, but it alone won’t work to improve acne,” he said. To begin fighting acne, the doctor recommends using LovelySkin Acne Care System, a comprehensive set of acne-fighting products that treat lesions and help reduce the need for acne scar treatment later. But as the doctor stated, a thorough cleansing may not be enough for severe acne. What products do you use for your acne? Everyone should wear sunscreen every day to protect skin from the damaging rays of the sun. But how much do you know about your sunscreen from the label? And what is SPF? SPF, also known as sun protection factor, is a measure of the effectiveness of your sunscreen products. The higher the number, the more protection your skin will receive against the sun rays. UVA and UVB radiation are two different kinds of sun rays that cause different problems for your skin. UVB rays cause skin burns while UVA rays cause premature aging, hyperpigmentation and skin cancer. Federal sunscreen rules are undergoing many changes, as mandated by the Federal Drug Administration. The FDA is requiring all sunscreen manufacturers in the United States to disclose if they protect against UVA and UVB radiation. Sunscreens that do not shield against UVA rays or that have an SPF less than 15 will be required to have a warning label that they do not reduce the risks of skin cancer. The highest number of SPF will now be an SPF 50+. For a product to be a broad spectrum sunscreen, they must now guard against both UVA and UVB radiation. Learn more about what is SPF and the new FDA regulations in regard to sunscreen here. Dr. Joel Schlessinger’s favorite broad spectrum sunscreen brand is EltaMD. For acne prone individuals, he recommends the EltaMD Clear sunscreen, now available in a lotion and a spray. What is SPF to you? What’s the most important think you look at when choosing a sunscreen? Coffee often gets a bad reputation because of its high caffeine levels, but according to a recent study, the caffeine in your daily cup of joe can actually help reduce your risk for skin cancer. This discovered link between coffee and cancer was published in the Cancer Research journal. Investigators found those who drink more than two cups of coffee per day are at a lower risk for developing basal cell carcinoma. Basal cell carcinoma is the most common form of skin cancer in the United States. Generally caused by overexposure to UV rays or radiation, this form of skin cancer is common to those who experience severe sunburns or prolonged sun exposure. Dr. Joel Schlessinger was delighted to hear the findings about the link between coffee and cancer. Although this story’s findings were impressive, drinking coffee shouldn’t be the only way you protect your skin. Using sunscreen daily and implementing products with CoffeeBerry and caffeine can help give your skin antioxidants for healthy skin. “We do supply many caffeine-related products on our website, including CoffeeBerry products from RevaleSkin and antioxidant serums from Replenix,” Dr. Joel Schlessinger said. While you should always use sunscreen and take precautions when it comes to sun exposure, a couple cups of coffee a day can help boost your antioxidants for healthy skin. 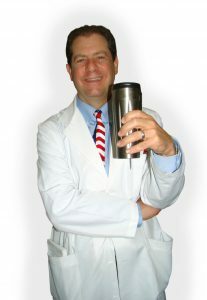 Dr. Joel Schlessinger was thrilled with this study about coffee and cancer. What causes acne? Learn more about the link between milk and acne prone skin. Could your recommended daily glass of milk be what causes acne breakouts? According to Dr. Joel Schlessinger, milk is a major culprit of acne prone skin. Milk is naturally designed to promote rapid growth in nursing children and, in the case of cow’s milk, calves. It is full of anabolic and growth hormones that build muscles and in turn, cause acne prone skin. “Cows pass these hormones into milk and due to the fact that many cows are actually pregnant while being milked, there are other hormones in play that can further complicate the situation,” he said. In just one glass of milk, an average of 60 hormones is present. These hormones have been found to be a major component in what causes acne. It’s not just whole milk either – in fact, skim milk could be worse for acne. “The hormones in skim milk seem to be more concentrated which can cause more problems in people who see a link between their consumption of milk and acne,” he said. Dr. Joel Schlessinger recommends taking a break from milk if you have concerns over what causes acne blemishes in your skin. “If you feel that your acne is worse when you drink milk, stop it for a month and see,” he says. If you can’t give up your daily bowl of milk and cereal, Dr. Joel Schlessinger recommends trying almond milk as this alternative does not have hormones. Avoid soy milk, as it can have the hormone genustein in it. A glass of milk may not be what causes acne in your skin, however. Have you noticed any correlation between milk and acne in your skin?